Keep your project on-time and on-budget by connecting everyone from the owner to the operator using Connected Community. 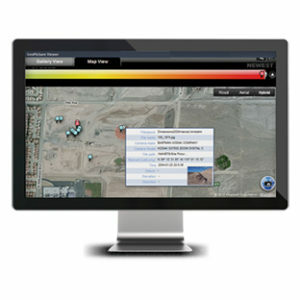 The backbone of Trimble’s Connected Site®, Connected Community helps you manage and share information in real-time through the Internet. With Connected Community everyone in the office and in the field will be kept up to date. Connected Community allows make decision quickly and review progress before mistakes can happen with efficient, integrated data management between Business Center – HCE and VisionLink®. Integration with Business Center – HCE means that you can access design files. VisionLink provides you with site and asset productivity information. With the ability to manage and share information through the internet, you eliminate the time wasted driving to the job site. Connected Community allows you to effectively manage your crew, devices and sites from your office. You can also extend the range of existing base stations corrections, reducing your equipment needs. When it comes to training and troubleshooting, you can see and interact with Trimble® machine control and site positioning with Connected Community. Connected Community provides you with secure hosting, unlimited data retention, upgradeable storage plans and data backup. From email notifications and alerts to both the job site and office, along with file sharing and automatic file synchronization, Connected Community provides you with the tools you need to be success in your job. Included in these tools, is Internet Base Station Service (IBSS), which extends the range of your existing base station corrections while reducing your equipment needs. Another tool, Remote Assistant, allows your office support team see and interact with Trimble Grade Control and Site Positioning systems. IBSS provides you up to 19 miles of coverage without line of sight with just one base station and a Connected Community subscription. It is perfect for linear projects and remote or offsite areas such as borrow pits and dump sites. IBSS uses cellular technology and the internet to keep you connected and also helped your reduce the time and costs involved with daily set up. Remote Assistant provides you the ability to provide your field crew personnel or earthworks machine operators with technical support without the need to wait for a technician to arrive onsite. The support team back in the office can see the same picture as the field crew, reducing downtime, drive time and delays. Remote Assistant can also be used for training purposes. Connected Community eliminated the need for USB sticks and cables with Wireless Data Sync. Easily download and upload files by simply using the transfer button on the field device. You can also set up automatic data sync so that the field device files are uploaded to Connected Community automatically.